Here at Janders, we are industry leaders when it comes to providing high quality Black Duck Seat Covers throughout Australia. 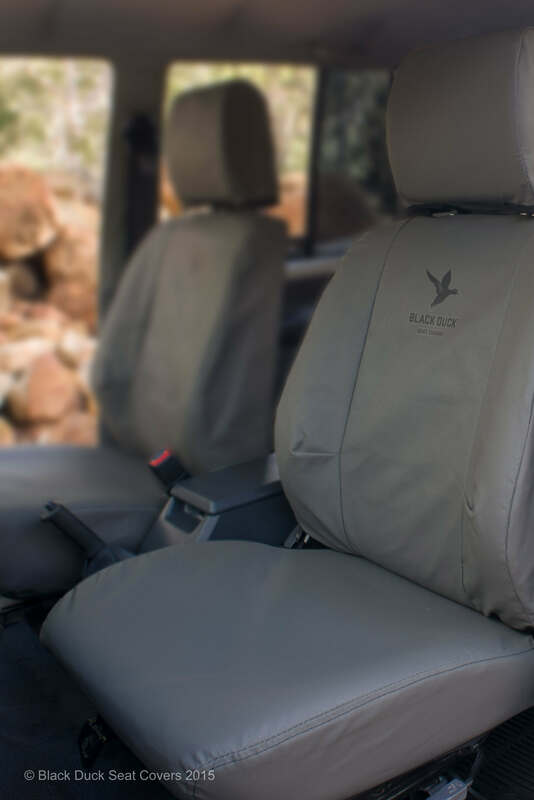 Whether it’s for everyday use or for your next big family getaway, Janders has got you covered with premium quality Black Duck Seat Covers online. If you are looking for a way to keep your seats looking clean and stylish without having to break the bank, then our Black Duck Seat Covers online are the perfect solution. Stop wasting time shopping around for hours for seat covers that won’t get the job done when you select from our large range of Black Duck Seat Covers online from the convenience of your home. Easy to fit and highly resistant to tearing, our Black Duck Seat Covers online available to all of our Australia wide customers will make seat protection a breeze. With our affordable range of Black Duck Seat Covers online, you can now travel with peace of mind knowing that your car seats are no longer compromised. Our collection of superior quality Black Duck Seat Covers online are suitable for a vast variety of vehicles, no matter what size or make to ensure that your seats are always protected. Made with the finest materials, our range of Black Duck Seat Covers online extend the life of your seats and are extremely easy to clean and use. When you shop with Janders, rest assured that our high quality Black Duck Seat Covers keep your seats mess free and stylish at all times. Say goodbye to wrinkled, unsightly seats when you discover our wide range of Black Duck Seat Covers online today at Janders.